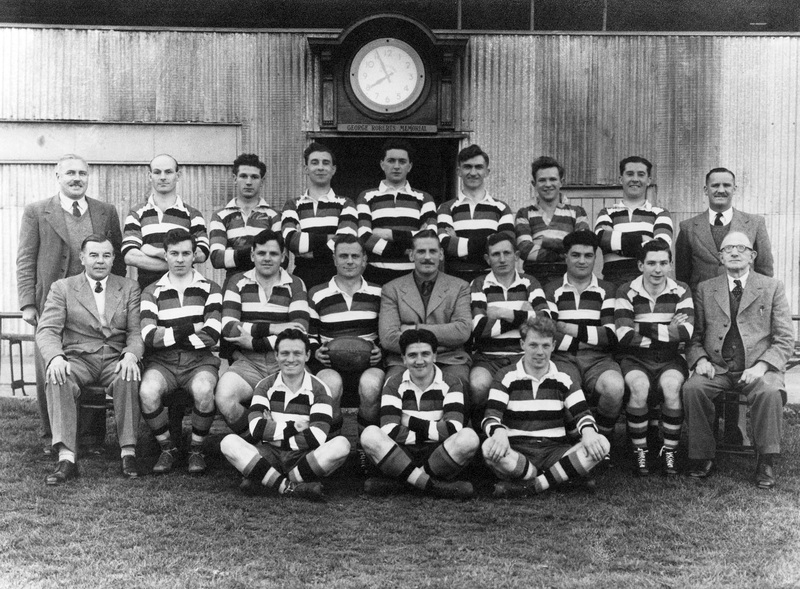 Back Row: Charles Burrough (Hon Treasurer),Allan Todd, Jim Vaissiere, Dennis Mattingley, John Dingle, George Brown, Mick Hanna, Trevor Lewis, A Ball. Middle Row: Harry Davies (Hon Team Secretary), Ken Wilcox, John Roberts, Alec O Lewis (Captain), Jack Bevan Jones (Chairman), Freddie Hill, Tom Smith, Robin Hambly, Eddie Simpkins (Hon Secretary). Front Row: Norman (Curly) Halse, Paddy Sullivan, Bill Donnelly. This page was added on 22/09/2015.